K1RS POINTS – ONLY 12 DAYS LEFT! 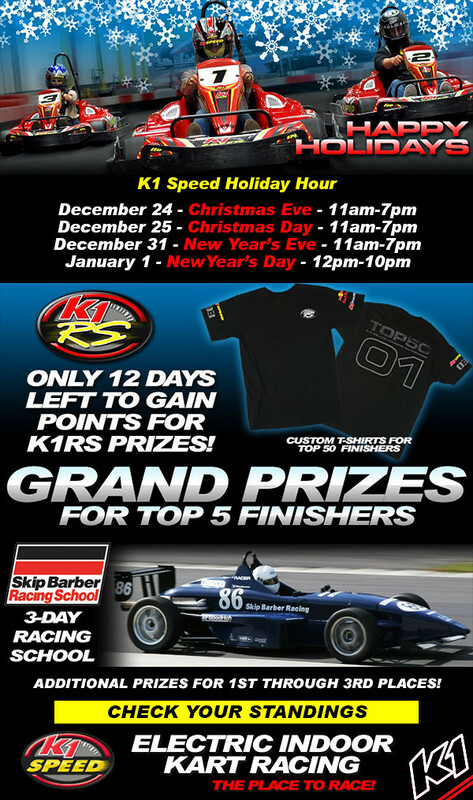 Only 12 days left to gain points for K1RS prizes! Visit your local K1 Speed center today!